As we lead up to Easter weekend, we pray the Lord will empower the people of Cross Church to invite individuals in their circle of influence to join our fellowship on Easter Sunday. We are prayerful that many will come to faith in Jesus Christ during this special time of year. 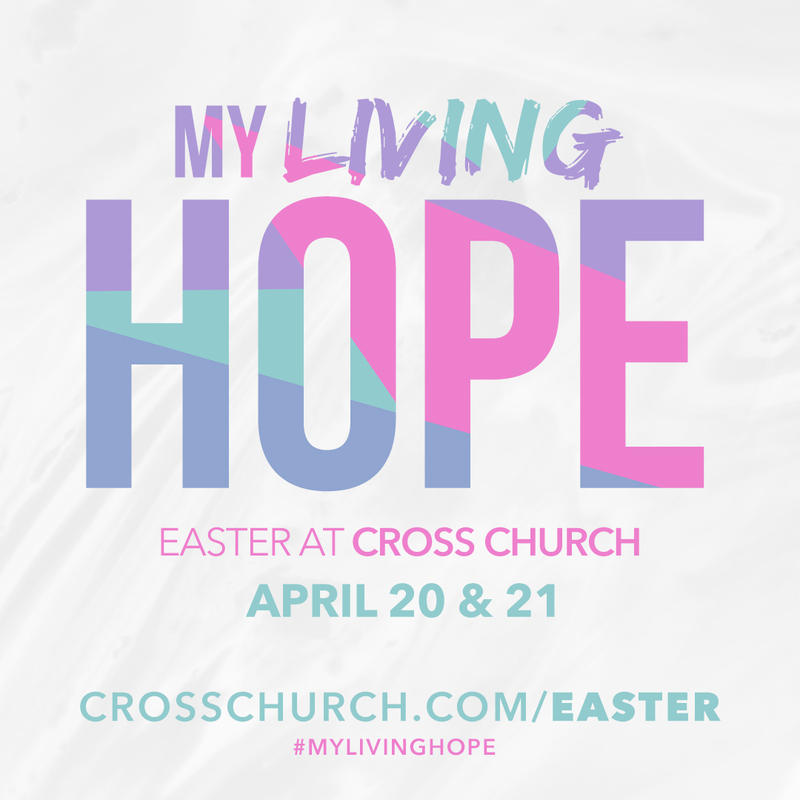 Easter weekend, April 20-21, our four campuses will host a combined 16 worship services! Pick up invite cards at one of our campuses, bake some cookies, go share them with your neighbors and invite them to Easter Weekend. Pick up a yard sign at one of our campuses and put it in your yard. Invite using social media and/or email. Click the buttons below to send an e-vite or download a social media graphic. Fill your car by bringing your neighbors with you! Have you followed through with Believers Baptism? Easter Sunday would be a special time to celebrate the work of Christ in your life on the day we celebrate the resurrection of Christ! Fill out the form on the button below and a minister will be in contact with you soon. Click on the campus you wish to attend for the address to the campus.